Me and my sister are getting married 5 weeks apart from each other. We had our appts back to back at Dreams Bridal, while I was all about the process of trying on dresses my sister was the total opposite and wanted nothing to do with it. She had no idea what she wanted and was very overwhelmed. Renee the owner was so patient and helpful. She made it fun for both of us and made sure to help us stay in our budget. We both said yes to the dress! Awesome experience! The woman who helped us was fantastic, friendly, and SUPER helpful! I found my perfect dress with her help and she had a feeling from the start what one I would love after talking to me about my big day and what style I liked! She was right, and I ended up buying the one she picked out! I felt so welcome and loved the atmosphere. Beautiful and nice establishment! Everything was great! She was very helpful and supportive! I started my appointment for bridesmaids but ended up getting talked into trying on wedding dresses. The consultant was extremely helpful and I couldn't have asked for a better first experience trying on dresses! We had such a fun, warm, and intimate experience at Dreams! Every dress I tried on was more gorgeous than the one before, and we really loved the one-on-one attention! Great customer service. They know their dresses. They know what dresses look best on body types, they were kind and understanding seeing that my daughter was a little nervous and self conscious. We had a wonderful experience. Ordered the dress! Fantastic! A very warm, comfortable experience. I did not feel rushed, nor felt pressured to make a decision. I would definitely recommend Dreams to all brides! I had the most amazing experience with the ladies at Dreams! Everyone helped find me the right dress. I am a bigger size and entering a weight loss program shortly with the intention to lose a significant amount of weight, and everyone supported me and shared their stories. I have complete faith that their magician of a seamstress will fit the dress to me in 10 months to fit my new figure. It was a perfect experience!!! After visiting another salon and walking away with a dress that left me with doubts, I went to Dreams. Renee was so warm and knew what to pull based on what I wanted. I was completely at ease. Her honest and friendly demeanor made it easy for me to finally relax enough to "participate in the emotional moment" as she so eloquently said. She was right! I had the moment all brides want and need to choose the dress - I was overcome with joy, happiness and KNEW this was my dress. I only wish I'd found dreams sooner, but hey, a ceremony and reception dress is great fun. Thank you, Renee. You are fantastic. I'm still on Cloud 9. Awesome service!! Very attentive and very quiet! Love! Dreams has a welcoming and laid back atmosphere. I didn't feel rushed and was encouraged to try on as many dresses as I wanted. Renee made me feel so comfortable trying on dresses. I never felt rushed or pressured to buy a dress. She allowed not only me to pick out dresses, but also my mom, sister, and grandmother to pick out dresses for me to try on. She was a huge help in picking my perfect dress and made me feel like a bride. Overall, it was a great experience and exactly what I wanted out of buying a dress! Amazing selection of dresses and excellent service, so patient and kind. Just what you want when making the difficult decision of finding the perfect dress! Amazing! I was nervous when I arrived but everyone was so sweet & put me right at ease. Renee, you have a gift. You pulled dresses that I thought I was looking for but also dresses you thought I would look amazing in. You won!! You found me the most amazing dress & it was not even close to something I would have picked for myself! Thank you! The thought of wedding dress shopping has always stressed me out. Today my experience was better than I could have ever expected. The whole atmosphere of searching for a dress was stress free. The owner could not be any more helpful and you can tell she loves her job! I said yes to the dress today! The two hour drive was well worth it! Renee was so much fun, very personable and made my experience perfect and memorable. she was a huge part in helping me pick my dream wedding dress. I highly recommend going to Dreams Bridal Boutique!! 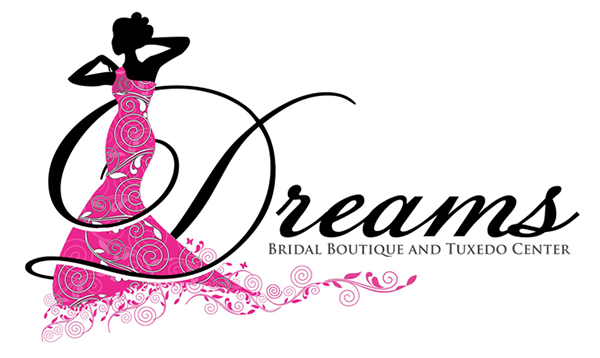 I had a wonderful experience at Dreams Bridal!! I had never tried any gowns on before, and wanted to try on a variety of styles to figure out what I wanted and my consultant had no problem pulling 10 gowns off the racks for me to try on. Prior to my appointment, Renee was even able to order a specific sample of a Stella York dress I had had my eye on for months!! I brought 4 people with me -- not a big deal for the salon, they made sure everyone had a seat and was comfortable. My consultant listened to what my family wanted me to try on; but put my wants and needs first. Overall it was a great first dress shopping experience!! I would definitely recommend coming here for a quality wedding gown with a personal touch and warm, welcoming sales staff. Thank you!! Another great appointment. Renee goes above and beyond to help you find your dress. 5 star service! Renee and her staff are absolutely incredible, dreams bridal is by far the best place I have been to so far in my journey. I would give them a 10 star rating if I could. They were amazing, kind an they worked with me on style an what I want. I will recommend them always. I had such a wonderful afternoon at Dreams! Renee has a special talent for helping to choose dresses you might not have chosen for yourself. She listens to your likes and knows just how to pair dresses with accessories. Beautiful shop, gorgeous dresses and a super friendly staff! Awesome experience! I highly recommend this place! If you have appointments other places to find a dress consider going to this place first! Your experience here will be hard to beat anywhere else! I had an awesome experience here! Both of you were so helpful! Such amazing ladies here! I was so comfortable and they were so flexable. Not only did we find the perfect dress but these ladies were beyond accomidating for my photographers and and family! Would recommend here for every bride? This was my first time trying on dresses and I was really nervous. Renee was amazing at helping me find my dress and definitely making me feel really comfortable with myself. She was very professional and gave us lots of opinions and advice on all the questions we asked. Renee was extremely pleasant to work with and I can't wait to go back for my fitting!!! I felt so comfortable here and Renee was such an AMAZING help!! She welcomed me and my rather large bridal party with open arms. I had the most wonderful experience at Dreams Bridal. They were so attentive and even had an apple TV which displayed all the details of your dress that normally would be difficult to see! Highly recommend Renee and Dreams Bridal! Had an absolutely perfect experience purchasing my wedding dress. My company and I enjoyed the warm staff, and her excellent eye! I recommend this boutique above any other place I had shopped at! Thank you so much for giving me the perfect dress and experience! I had a very good experience here. :) Renee was very helpful, polite and understanding. She welcomed my family and I into the shop and helped me try on a few dresses. She also made an appointment for me to come back and try more on. I went in just to look and I ended up trying dresses on. I wasn't feeling very good after the first two but the third one (which I spied when I first came in) was the one! I could never have dreamed of finding the perfect dress at the first boutique I went to but I guess that's why they call it Dreams Bridal! Great service as well. She stayed open past closing to finish up and set an appointment and give me information on a venue she knew about. Great experience all around! I just wondered in with a friend looking to get some ideas for wedding dresses and ended up trying on 5 or 6 and loving every minute of it. The owner was super helpful and nice. Great experience! Such an amazing experience! Friendly and helpful staff that truly cares, beautiful dresses and a great selection. I felt like a princess!!! My mom and I stopped in to check out Dreams bridal on a Thursday afternoon with no appointment. Renee, the owner, greeted us with a smile and provided us with all the help we could have asked for, and it was fun! The store was beautifully set up and I loved the size of the dressing rooms (huge compared to some of the other shops I've been to). She had lots of different style dresses and will set up the groom's attire too if you'd like. I would recommend Dreams Bridal to every bride! I will definitely be back! What an unique shop. Something for everyone. You will need to visit more than once to see everything! Wonderful service, very friendly and easy going. Great selection and good pricing. They were very clean and very helpful. The dresses are well cared for. If there is anything missing or loose on the dress they will fix it. They did not put pressure on me and make it feel like I was stupid for waiting so long even though I hadn't. My first dress was lost and I had to get a new one. I have to say, I have never felt more beautiful than I did at my two visits so far to dreams bridal. They have been patient, so sweet, and helped me really pull together what I want to look like as a bride. Renee has been so accommodating to the short amount of time we have to plan everything and get my gown ordered. She listened to what I liked, knew what styles I wouldn't and helped me find the PERFECT dress. She never once made me feel pressured to order any accessories or anything but made it known that she would be glad to go over anything I wanted to see or compare. She was so good at making us feel welcomed, and my family loved her just as much as I did! It felt like she really knew who we were after just our first visit. I would highly recommend her for your bridal needs! I can't wait for my gown to come in!!! I needed a formal gown for the Kenney Awards. I was in the shop for a few hours trying on dresses. The owner was very helpful during the whole process. She was honest when I asked her opinion and I trusted her judgement. I highly recommend this shop! Great selection of dresses!!!! Love the owner and dress selection. She helped me find the perfect dress. We had lots of fun with the staff. Staff was very friendly and helpful! They worked with us so we were able to get exactly what we wanted! Copyright © 2019 Dreams Bridal Boutique and Tuxedo Center, all rights reserved.